Results for - "Write a Letter, Win a House"
1. When Alla Wagner suffered a severe back injury last June, and could no longer get up the stairs of her 3800-square-foot house in Millarville, Alta., she made the difficult decision to put it up for sale. After months, and no sale, she decided to get creative with her approach. Her solution: a competition called "Write a Letter, Win a House." It costs $25 to enter plus a letter explaining why you should be the winner. Here's the fine print: the total of all the entry fees must reach the $1.7 million listing price of the mountain view home. 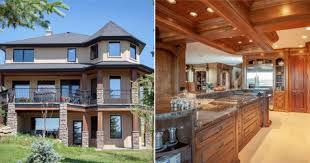 Also, the competition is over if the home sells before a winner is chosen. In both cases, everyone would get their money back. And it is not a draw because the winner will be chosen based on creative writing. To reach $1.7 million, Wagner will have to receive and read 68,000 letters. As of Saturday, the 21st, she has received around 300. She hopes that she does indeed get a worthwhile winner for the home she loves but can no longer live in. What is your opinion of this idea? Good luck to her! I would never do this! 2. Sweepers is a term many here may be familiar with -- sweepers are people who enter contests and sweepstakes as a hobby. Volume is the key. Some sweepers devote so much time to this hobby that it actually becomes a full-time job, but for some the payoffs are huge. Do you consider yourself to be a sweeper? 3. 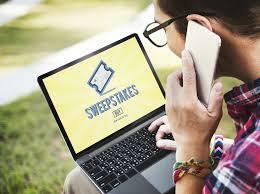 Here's some interesting tips to help you enter sweepstakes or contests.. If you consider yourself to be a sweeper, or even if you just enter these sweepstakes occasionally, which of these do you do? For sweepstakes that allow multiple entries, create daily, weekly and monthly folders to keep track of how often you can enter. Then enter as many times as possible, for yourself, family and friends . Use auto-complete software, including Chrome and Firefox, or Roboform, which store your name and address and help you fill out forms with a single click. 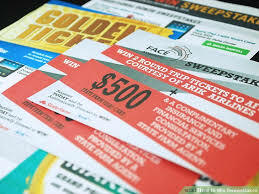 Use websites like Sweepstakes Advantage and Sweepstakes Fanatics, which list legitimate giveaways and sort them by entry frequency and prize type. 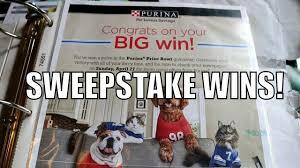 Subscribe to newsletters such as Sweepsheet and I Win Contests, for similar information. 4. Carolyn Wilman of Ontario, Canada, is a sweeper and author of "How To Win Cash, Cars, Trips and More." She estimates she's won more than a quarter of a million dollars worth of prizes. According to her, here are some things you can do to increase the chance of winning contests, draws and sweepstakes. Do you ever do any of these? Crinkled paper: If it's a paper drawing, crinkle your entry slip or fold it like an accordion to make it easier to grab. Colorful envelopes: If it's an envelope drawing, send in large, colorful envelopes. Short entry periods: Choose contests with short entry periods, because fewer people are likely to enter. Entry limitations: Go for sweepstakes with lots of limitations on your location, age, etc., for the same reason. Many prizes: Select contests with great second and third place prizes, so that if you don't win the grand prize, you still have a chance of winning something good. Good prizes: Focus your efforts on contests with truly valuable prizes or prizes that are meaningful to you.